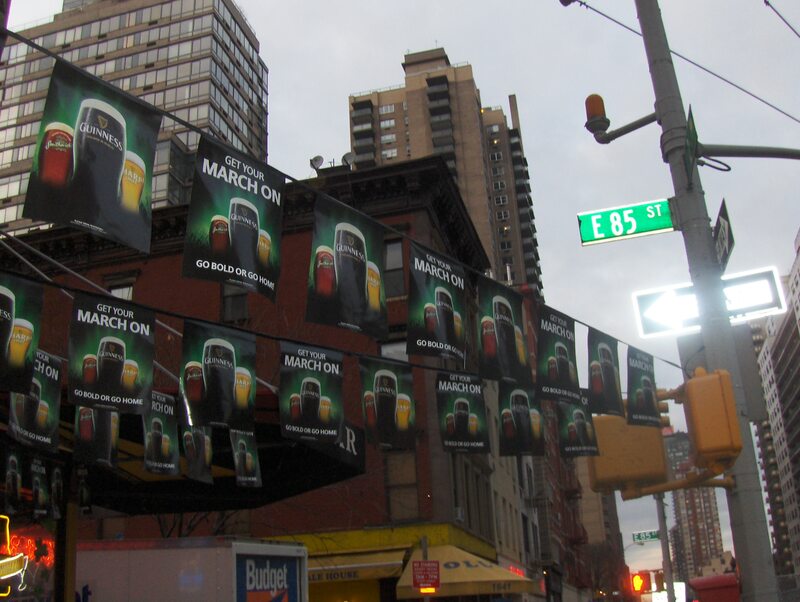 St. Patrick’s Day is a pretty big deal on the East Coast. So much preparation goes into it, it almost feels like Christmas. My boss (who is from Ireland) gave me some amusing advice for my first St. Patty’s Day in New York City. 1.) Beware of vomit in the street. 2.) You will not receive a glass at any bar, it will all be plastic cups. 3.) There will be peanuts on the floor to absorb moisture. 4.) There will be more firemen wandering around, then I could have ever dreamed. All of this was in fact true, except for the peanuts thing.